More than "100 best ever albums" this chart is better defined with "The 100 albums I have so far most enjoyed listening to", it doesn't necessarily mean they are the most talented music so far (in that case I would have included jazz and classical music!). I have included 10 different artists/bands on my top 10 but some artists/bands do appear more than once or twice on my top 100; if they have two or three really good albums, which I enjoy much more than, let's say the #101 album, why should I not include it? Starting from 50 onwards the comments are generally shorter but, in exchange, I include a list of the top songs. I was born in the 90's and have still have much music to listen. Feel free to send me any comments or suggestions for improvement / suggestions of albums you think I should listen to. Thanks to all the users who have taken time to read, rate, comment and even listen to albums they didn't know and write to me about them. Chart updated: 1 hour ago (Created: 03/06/2014 19:42). Chart size: 100 albums. There are 49 comments for this chart from BestEverAlbums.com members and Top 100 Greatest Music Albums has an average rating of 88 out of 100 (from 78 votes). Please log in or register to leave a comment or assign a rating. Probably the best band in Rock history had to top this chart. Out of all their magnificent albums, I choose this one because, like for example #2 and #4, is a concept album with hardly no weaker moments, which makes you fall deep into it's sweet music. This should be listened all along and no track should be ignored, however I have to praise the ticking of "Time", the piano of "The Great Gig in the Sky" and the crescendoes in "Us and Them". This is music for angels; if we were to show the aliens what we've achieved in terms of music, I would get them to listen to this album. Unfortunately, due to my age, I haven't had the pleasure of watching Pink Floyd live. However, luckily, there are many bands which make live shows of Pink Floyd and I highly reccommend the spanish "Pink Tones". 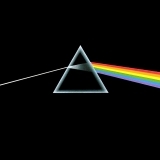 They dragged me into their atmosphere and made me enjoy songs from this album and others like the perfect "Shine on you Crazy Diamond", which would probably top this chart if it were a "Greatest tracks" chart. PLEASE listen to this album. You can see some Camel, Mike Oldfield and classical music influences but still this concept album is unique. Great vocals and instrumentation; piano, mellotron, violin and flute are more prominent than guitars. The first song is a long track which introduces you to the rest of the album and shows how well the different instruments get on together. I remember when I watched them at Summer's End Festival in the UK. They were very nervous, still it was beautiful to hear these 10 people play their best songs, including nearly all of this album. After the show, I was able to talk with Phideaux Xavier and he was really nice with me. They weren't gonna make any profit from this concert, but they found the experience of playing in Europe fascinating. Nearly as fascinating as this concept album, which I agree with him, is his masterpiece. This album is outstanding. It came after the great blues/hard rock "Everybody knows..." and the classic folk-rock "Harvest", combining perfectly both genres, while having a renewed sound. Young's voice is clear and strong. The musicians are really talented all throughout, especially Ben Keith with his pedal steel guitar. You must listen to the title track, the last track and the beautiful "See the sky about to rain". It's nice to see I'm not the only one who likes this not so well known album from this music master. Lately I have realised how important this album was to widespread the music I loved. This type of music is present in quite a few of the albums in my chart, ie Sound of Lies or Las Consecuencias, so it deserves this high position on my chart. Even more when I enjoyed so much his concert in 2016's Mad Cool when, despite being 70,he showed that he still has lots of energy and good music to deliver. 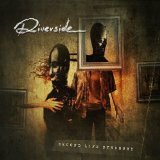 Wonderful album all throughout by progressive rock/metal polish band Riverside. This is their most aggressive yet their most progressive and symphonic album. Duda's vocals have many registers and are all good, the piano and keyboards by Lapaj in this album are grandiouse, the guitar sounds as clean as always... and the composition is fantastic. If you are a music fan and you enjoy Porcucpine Tree, Opeth, Pink Floyd or even harder edge Muse then please give this album a listen, though this band has a sound of its own. I still remember when I saw them live. The supporting artist was Sylvan and they played a nice concert, however when these guys got up the stage we realised that they were more than one step ahead. In this album, from the 20 minute title track to the rock ballad "Conceiving you", not only do we see the technical part, but we also enjoy the emotions and the atmosphere of this heavy album. I think that this album isn't higher rated because many of the long-term 70's fans had forgotten about this band at this time. 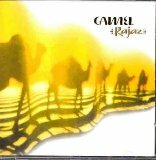 This is a relaxing and sweet album, thanks to Latimer's mature voice and the usual unconventional Camel instrumentation. This time, forget about virtuosism and sit and dream with these pop-orientated atmospheric rock songs. My favourites are the title track, Shout and Lost and Found but the album as a whole is great. What can be said which hasn't been said yet about this masterpiece? 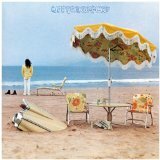 I guess that people who lived at this time were shocked that there could be such a perfect album; hard to find one as good since all the brilliant '70's albums. 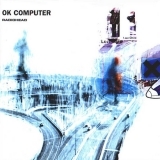 Thanks to this concept, dark and varied album full of outstanding songs like "Karma Police", "Exit Music", "No Surprises" or "The Tourist" Radiohead became a legend, and have influenced modern bands like Muse or Coldplay. Kudos to them. It's a pity that they never made this sound again (though in AMSP they have some songs from this era). 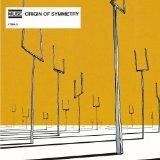 This album introduced me to Muse and I still consider it to be their best. As I said with Riverside, none of their other albums is so aggressive and at the same time so progressive as this one. The keyboards are the strong point of this album (i.e new born, bliss, space dementia...) in comparison to the other albums and we can find Bellamy's falsetto voice and guitar riffs in a few songs too (i.e plug in baby, citizen erased, darkshines...). It's hard to choose the best tracks, all are worth listening to, and each one has something of its own to contribute to the album. For me, this is their best album. 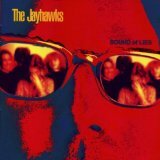 Clearly underrated, maybe because their audience didn't expect these country-rock masters to react to the co-vocalist and co-songwriter leave by including a darker tone with psychedelic rock influences. It has a strong "feeling"; from Louris' vocals and guitars and Grotberg's keyboards, maybe due to the leaving of Olson. The best example is "Trouble", possibly their best song. Don't throw away their last songs; they may seem strange but you end up liking them as much (or more) as their first more single-type songs. Steven Wilson's solo work and bands like PT and Blackfield are worth listening to. His best work is this album, in which you can find long but not boring progressive rock songs, with a few prog metal riffs. All songs have something different, unheard before, and the lyrics show the despair of a boy damaged by society. The last part of "Anesthesize" is the most beautiful music I have heard from the last 20 years. The best album from a unique band. There are many rythm changes, instrumental solos (especially piano) and crescendoes; only parts of "Crisis what crisis?" and a few other songs have some of this creativity. Hodgson and Davies' vocals blend perfectly. 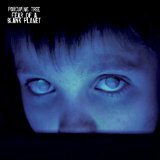 "Hide in your Shell" is just impressive, the perfect example of what the band wanted to achive in the whole of this solid album, and don't miss the first and last track either. Showing latest 5 ratings for this chart. | Show all 78 ratings for this chart. King Crimson's first album might be the first successful prog rock album, but it is not the first. The first which I consider is a great prog album is Second Hand's Reality from 1968. An overlooked masterpiece in my opinion. One of the best and most interesting charts I've seen. 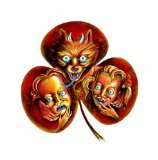 Love the addition of a few Phideaux albums, still have yet to hear Doomsday. Chupacabra is great! Just listened to Crisis? What Crisis? 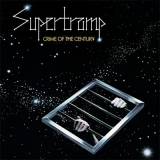 Today by Supertramp, love it! Crime, Crisis and Quietest are my three favorites. Awesome list. Also love the addition of Riverside! Very interesting commentary and a few obscure choices all make this a fascinating chart to me. Muy buen chart, me apunto varios grupos de aqui. Gracias.